We produced a documentary film in 2015 titled “Cherish Nam Sang Wai and Lut Chau” for public audience. This film introduces the beauty and ecological potential of Nam Sang Wai, and is a call to cherish the few remaining nature conservation opportunities in Hong Kong. 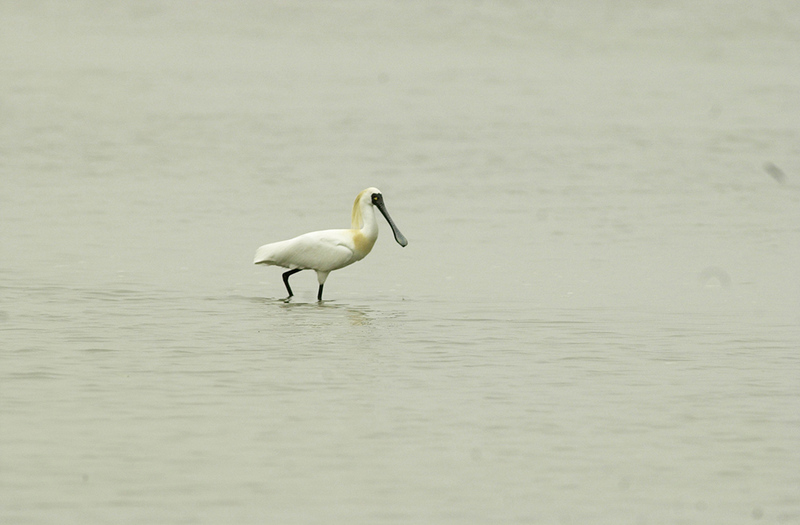 In the film, we voice our concerns about destructive and illegal activities which have long been harming these wetlands and the wildlife it supports. This documentary was aired on TVB Pearl in 2016 and garnered positive responses from a wide range of audience in Hong Kong and overseas. Two years after the film was screened, a major fire swept through Nam Sang Wai wetlands. In March 2018, six days after a sluice gate in Nam Sang Wai’s fish pond was vandalised, a huge fire swept through Nam Sang Wai’s wetlands, reducing many reed areas to ashes. Were the fire and earlier vandalism related? We thought that was highly likely, so we petitioned the Commissioner of Police for a thorough investigation, including suggestion of a reward to help catch the perpetrators and bring them to justice. We are certain that many interest groups shared our disappointment over the inconclusive finding. As long term investors, the Fu family has a long and proud history of actively creating value in our investments but not property speculation. 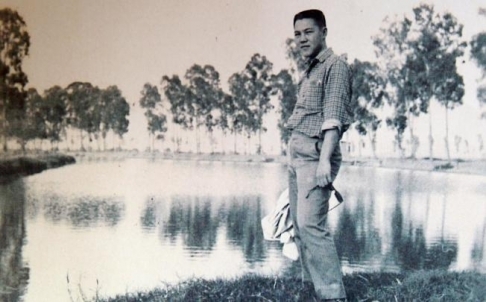 My family succeeded the former owner of Nam Sang Wai Development Co., Ltd. in 1965 and has been there since. 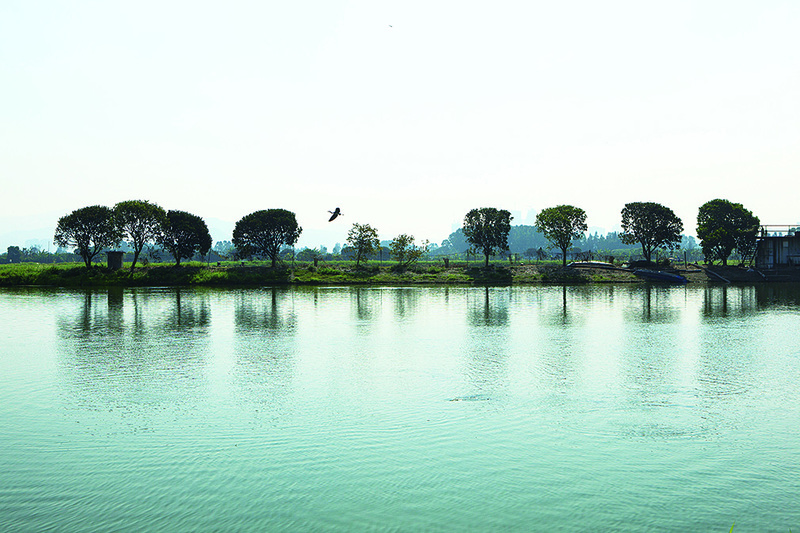 In the early years, we leased and operated the fish ponds. 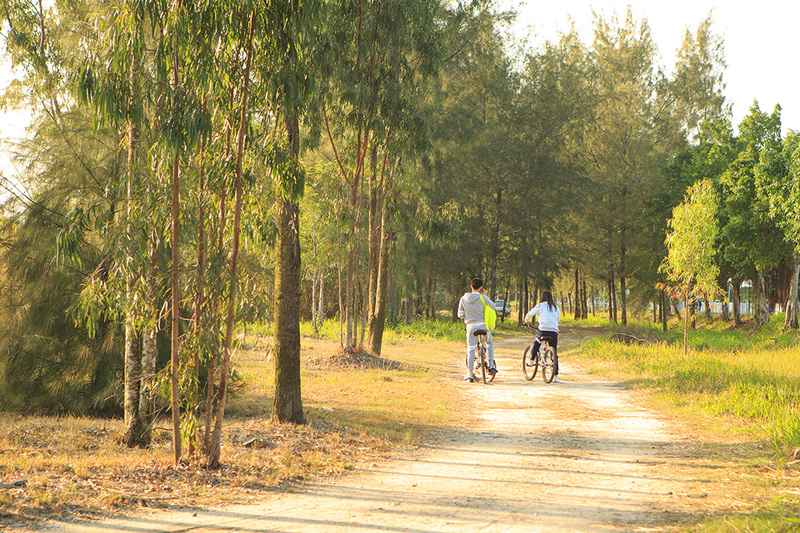 I was fortunate enough to have spent many memorable childhood days enjoying the scenery of Nam Sang Wai. In 1986, the Fu family entered into a joint venture with Henderson Land with Henderson acquiring a 50 percent interest in the Nam Sang Wai Development Company. The Henderson Scheme was approved by the Town Appeal Planning Board in 1994, but eventually lapsed in a decade without breaking ground by mutual agreement of the joint owners. In the late 1990s, when the Nam Sang Wai OZP was published, the government set a maximum permissible gross floor area (“GFA”) of 319,581m2 as a development parameter for the Nam Sang Wai portion of the composite site with Lut Chau. Since 2011, I have assumed the role of Development Manager and launched a fresh effort to develop the Site. In an approach markedly different from the Henderson Scheme, we made ecological conservation a distinct priority. By then I had a greater understanding of, and deep respect for, nature conservation from my time serving as a trustee for WWF-Hong Kong and my involvement in the creation of the Hoi Ha Marine Centre project. Our goal for the Site is to create a green community development that enhances the biodiversity of Nam Sang Wai and Lut Chau. And hopefully the Project would set a precedent for others. In addition to protecting the environment, I also believe that the Project should further benefit our society by ensuring that Nam Sang Wai is accessible to all those who treasure nature, as it has been for the past 60 years. 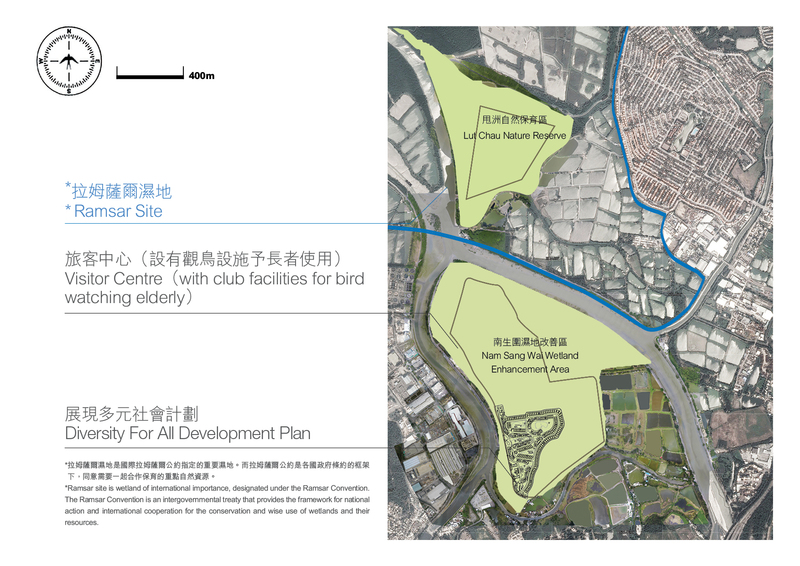 From the start it was decreed that a large portion of the Site would be set aside as a community wetland park for nature conservation and public enjoyment. It has always been our intention that upon completion of the Project Nam Sang Wai would be a place of tranquillity away from the bustling city, and that all segments of society would be given the opportunity to come and enjoy Nam Sang Wai, in much the same way that I had as a child. We do not fence off the area so that people can come and enjoy it. Aside from facilitating public access to the Site, I have always advocated that the Project should include affordable housing for lower-income households. These smaller homes could easily be converted to Home Ownership Scheme (“HOS”) flats. Alternatively, they could be managed by a not-for-profit organisation to ensure that they are properly allocated to lower income families. Our foundation, Fu Tak Iam Foundation, has a long history of collaborating with NGOs such as the Society for Community Organisation, a champion of social housing, with whom we are currently working with to develop affordable flats for Hong Kong families. It is my wish to establish a world class nature reserve at Nam Sang Wai, bringing people and nature together to live in harmony. To realise this vision requires a team of highly specialised wetland management experts to oversee every aspect of the revitalisation project. Unfortunately, thus far for local green groups it is taboo to work with real estate developers. Their position left me with very few options but to look for an experienced operator for Nam Sang Wai further afield. It has pained me to witness the deterioration and destruction occurring in Nam Sang Wai over the past decades. Every time a fire or typhoon strikes, our team has to spend months in its aftermath to clean up and repair damages to ensure the safety of visitors. Despite our best efforts, these disasters have left their marks. I’m simply frustrated with the lack of an approved starting point to protect our cherished Nam Sang Wai. Through an introduction of Ramsar Convention Secretariat, we traced the foot print of Sir Peter Scott (founder of Mai Po Hong Kong) to the London Wetland Centre, a wetland reserve managed by the Wildfowl and Wetlands Trust (WWT) in Barn Elms of the London Borough of Richmond upon Thames. The London Wetland Centre occupies more than 40 hectares of wetlands which formerly were reservoirs. Funded by a property developer, the conversion of wetland habitats was made possible prior to the opening of the Centre in May 2000. Many wild birds which have now made their home in the Centre are not found anywhere else in London. The award-winning London Wetland Centre is the first urban project of its kind in the U.K., and it has become one of 21st century’s greatest urban conservation projects. It is an innovative example of wetland creation that inspires similar projects across the globe, ours included. When WWT manages Nam Sang Wai’s nature reserve, it will be supported by local ecologists. I shall follow the London Wetland Centre model and turn Nam Sang Wai and Lut Chau into a well conserved wetland habitat for wildlife, and for people to enjoy nature and to ultimately keep Nam Sang Wai wetlands protected from illegal activities that continue to this day. Last but not least, please accept our invitation to join us in restoring Nam Sang Wai and Lut Chau, and to welcome the professional wetland management from WWT London.